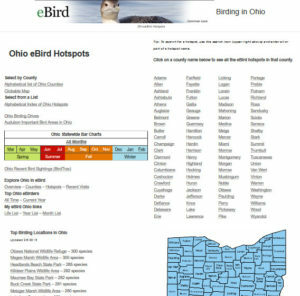 Moving the Ohio eBird Hotspot website to WordPress has greatly improved the display of information on the smaller screen of a smartphone. Here are some tips for using the website on a smartphone. If you have a tip to shared, I would be happy to add it to the list. Send it to me via the “Contact” link. 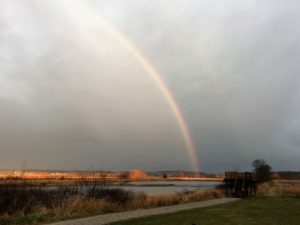 For many park locations, including all the Ohio state parks and most county metro parks, there is a link to the park map near the top of the page. Click on the link and the park map will open on your smartphone. This is often helpful when you are out birding and need to check a trail direction. Need Directions to a Hotspot? eBird uses Google Maps to display maps and information about hotspots. Click on “Hotspot map” in the eBird links below the hotspot. In the dialogue box for the hotspot, click on “Directions.” This opens Google Maps on your phone with the hotspot defined as your destination. This is just as fast as searching for the park on Google maps and has the advantage of navigating to the hotspot location within the park. The BirdTrax widget on the front page of the website is always up to date with rare bird sightings which have been reported to eBird. There is about an 1 hour delay between when a checklist is submitted and the data is released to eBird output. Many times, checking the BirdTrax display is the quickest way to get updates on when a bird has been seen. 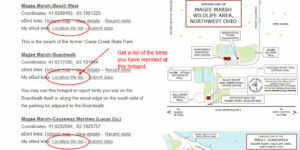 Want a list of birds you have seen at a hotspot? 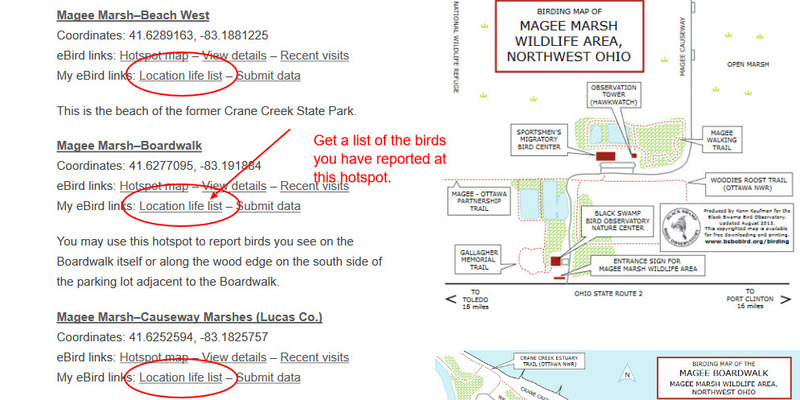 For every hotspot click on “Location life list” to get a list of all the bird species you have reported at the hotspot. In order for this to work, you must be logged in to your eBird account.